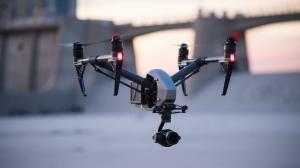 LOS ANGELES, CA, UNITED STATES, November 2, 2018 /EINPresswire.com/ -- Kent Moyer, CEO and President of the World Protection Group & 001, is head of the only executive protection firm currently using drones and supporting law enforcement in the use of drones. In this day and age, the usage of drones for public safety has been on a massive increase over the last couple of years. Last year, the drone market’s growth saw an increase of 36% and Goldman Sachs estimates that between 2016 and 2020, the market will be about 100 billion. They are commonly used to save the lives of law enforcement, private security officers, and civilians.